111 years ago today, Henry Ford and 11 stockholders met in Detroit in order to sign the paperwork that would lead to the incorporation of the Ford Motor Company. The signed and notarized papers were sent to Michigan’s secretary of state, who approved the paperwork the next day. A mere month after the incorporation of the Ford Motor Company, production began at a facility at 688-692 Mack Avenue, Detroit, Michigan. From that fateful spot, which Ford rented from Albert Strelow for $75 a month, the first Ford car was produced. Five years and a relocation to the Piquette Plant later, the Ford Model T hit the market and Ford’s place as an automotive giant was solidified. In order to celebrate the 111th anniversary of the birth of the Ford Motor Company, Ford has released an amazing time-lapse video that chronicles a full 24 hours at Ford assembly plants and dealerships on five different continents. 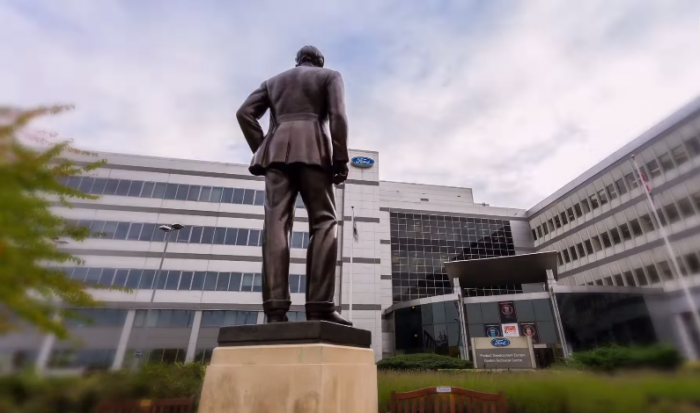 According to the video’s stats, more than 183,000 people work for Ford in 130 countries around the world. We’re taken from the Dunton Technical Centre in Essex to the Rouge Complex in Dearborn, watching so many of the people and technologies involved in producing 17,342 vehicles along the way.